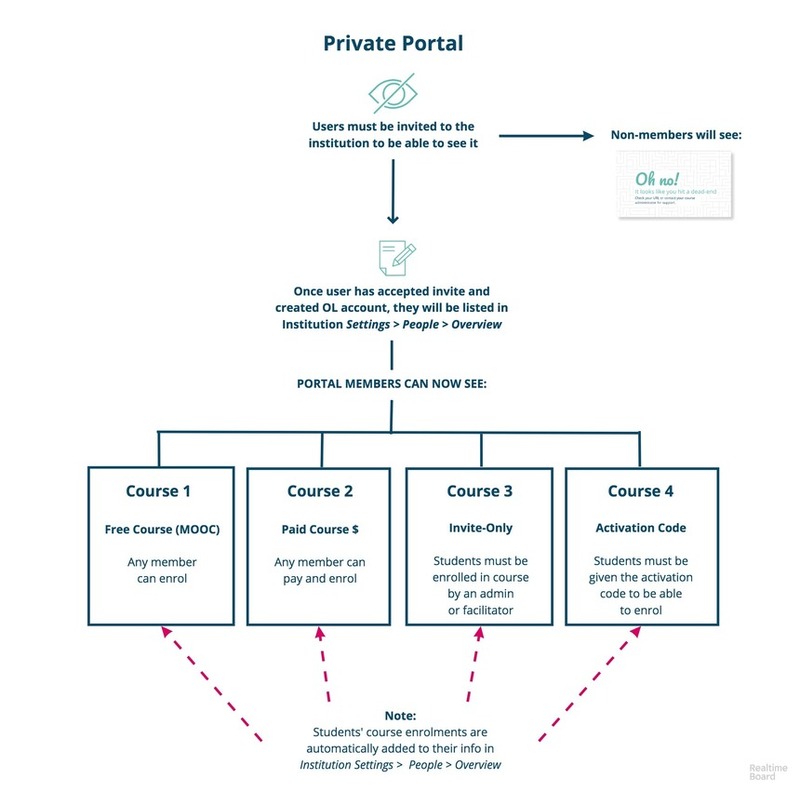 An institution can be set to private or public, depending on your institution's needs. is accessible to anybody who has the portal URL. 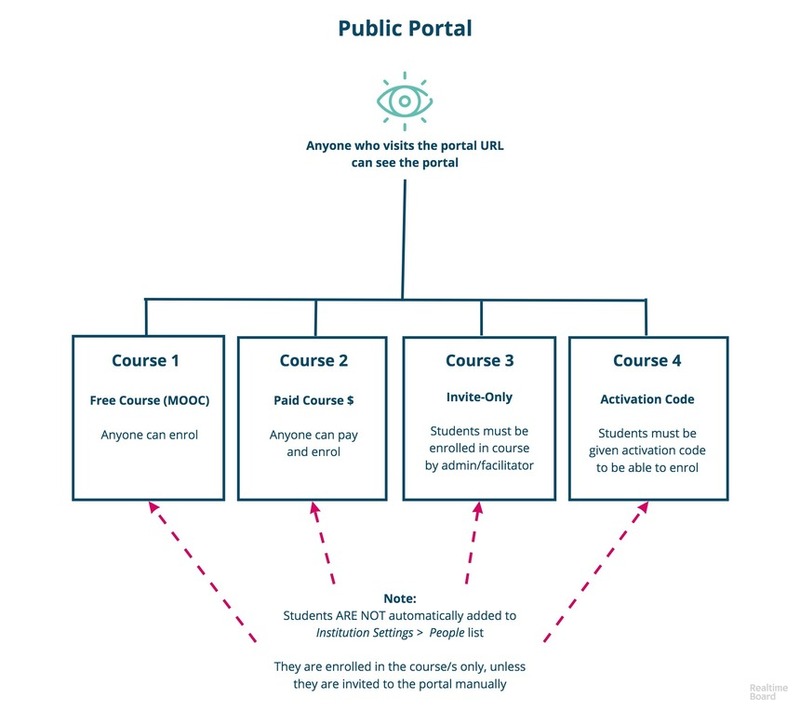 Anybody who creates an OpenLearning account via the portal will be automatically added as a portal member. Toggle between Public and Private and click Save.